Going a bit further back in time and a bit further outside of Snowdonia in this blog post. 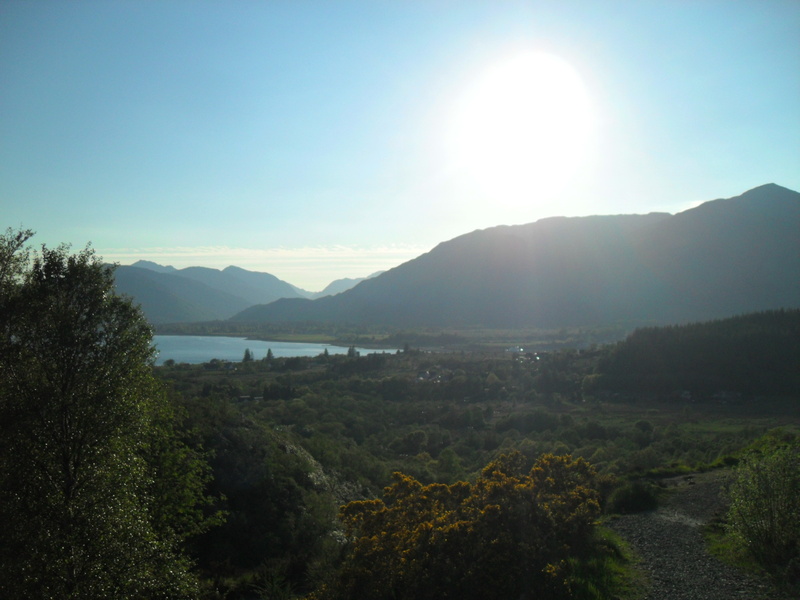 In 2013 me and my family went holidaying in Scotland, we were staying in a little cottage in Inchree on the shores of Loch Linnhe. Right outside the cottage was a series of towering woodland, abundant with pine martins and red squirrels (or so we were told..). This made it perfect for evening walks and it was on the first of these evening walks I sighted what appeared to be a large waterfall in the distance. Not knowing the area and having made a conscious decision to use my laptop as little as possible for this holiday I had no idea there was such a large waterfall so close to where we were staying. I resolved to reach this waterfall, however this proved easier said than done as on the first night we decided we were much too tired to try and reach the waterfall, on account of none of us having slept for around 15 hours. I decided it was best saved for another day. On the third evening I attempted again to reach the waterfall, with my brother in tow. However our path split in many different routes and the path we took wound all the way in the wrong direction, and although it eventually started to swerve back the right way, by this time my brother was hot and bothered and told me it was time to head back (spoil sport). Finally on the 5th evening of our stay, I came home after a long day cycling around the Isle of Lismore (I’ll make a post on that too at some point). However I decided, despite my tiredness to join my Dad out on an evening walk as he been forced to spend all day inside in order to catch up on some work. 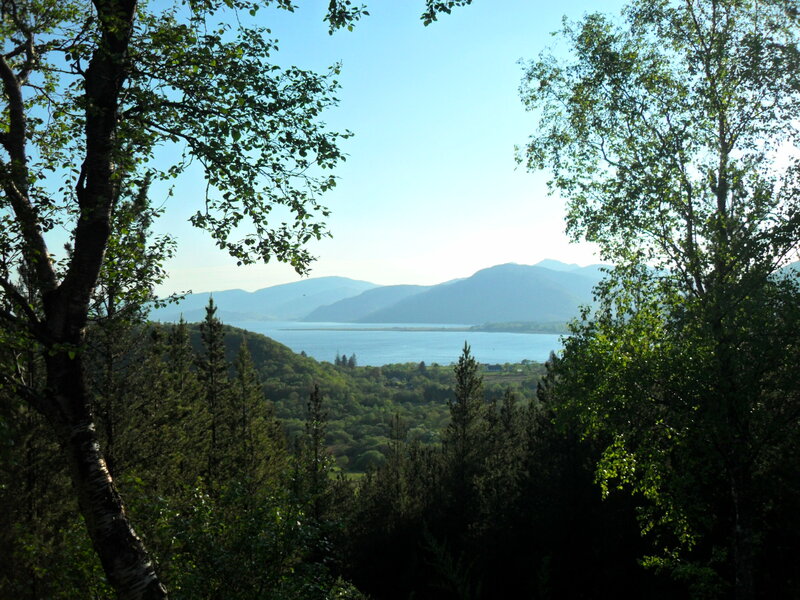 So we both set out in search of the mysterious waterfall, we took a different path this time and eventually found ourselves above the treeline, looking out over Loch Linnhe in the twilight. One of the best things about Scotland is its natural beautiful and the second best thing about Scotland is getting to enjoy those views at 11 o’clock at night in the summer. For me, there’s something strangely pleasing about still seeing sunshine so late at night. On this particular evening Scotland was dazzling. 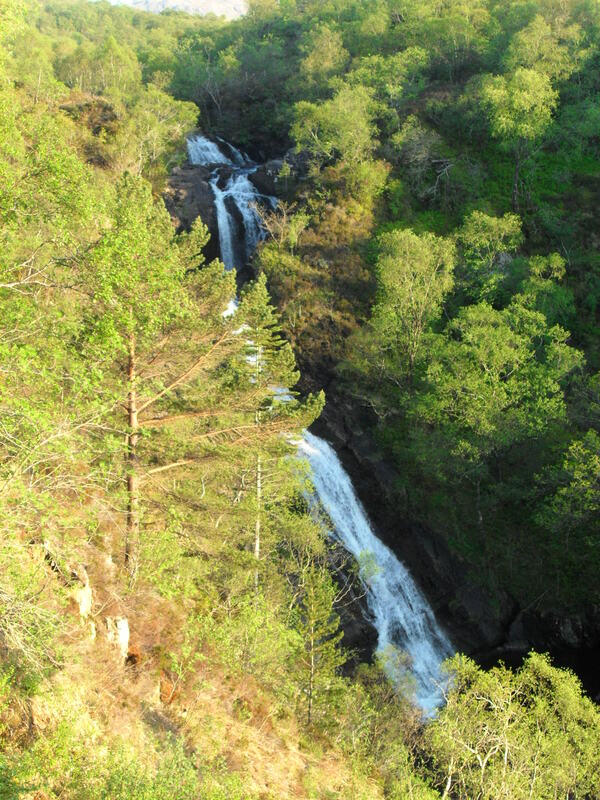 Eventually, we both finally reached the top of the Inchree Falls, it was a very satisfying moment for me, it really felt like I’d uncovered some sort of hidden natural treasure. 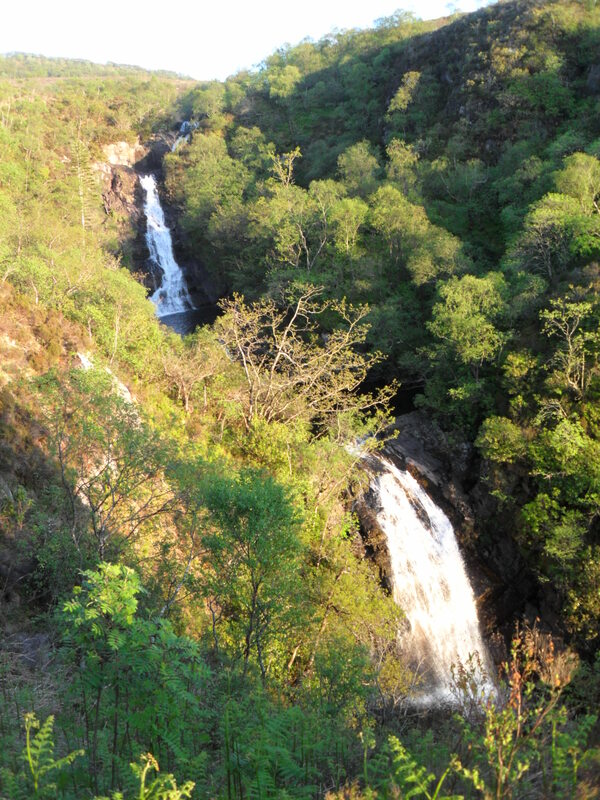 Me and my dad both scoured the waterfall, examining every part of it and taking as many photos as we could. 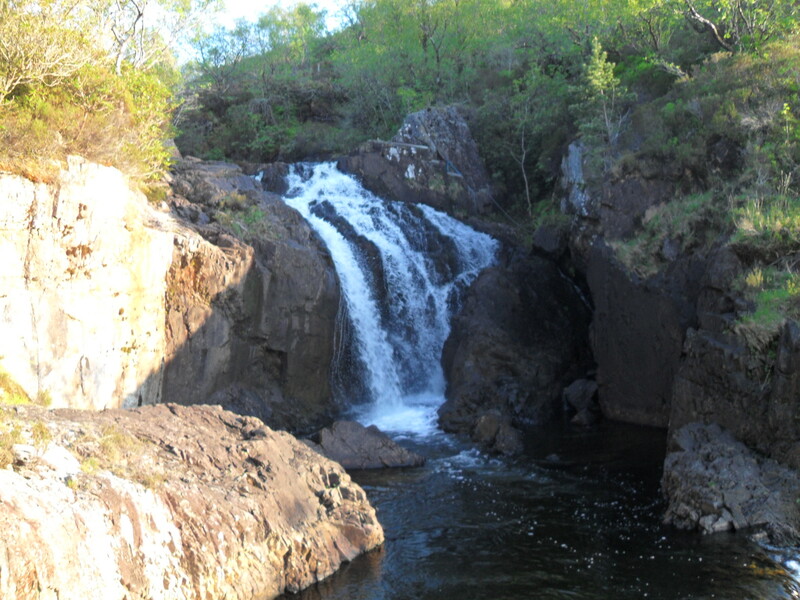 Inchree Falls is a spectacular display of thundering foam and water, spilling over hundred’s of feet. Ultimately however the sun finally started to set and we had to leave our hidden treasure. Of course on our way back we found a much quicker route from the waterfall to the cottage, as well as a huge car park and water adventure center hidden among the trees (its seems our waterfall wasn’t so hidden after all). Thus concludes my tale, if you have stories you wish to share or have any advice about the blog in general feel free to leave a note in the comments and thanks for reading.